Claude Clegg’s work focuses on the African diaspora of the Atlantic world, exploring the ways in which people of African descent have created and imagined communities and identities outside Africa. 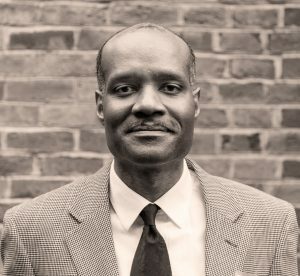 He is the author of three books, including An Original Man: The Life and Times of Elijah Muhammad (New York: St. Martin’s Press, 1997), The Price of Liberty: African Americans and the Making of Liberia (Chapel Hill: University of North Carolina Press, 2004), and Troubled Ground: A Tale of Murder, Lynching, and Reckoning in the New South (Urbana and Chicago: University of Illinois Press, 2010). He is currently working on a book tentatively entitled “A President and a People,” which examines the ways African Americans have experienced and interpreted the Obama presidency.